Upanishadic thought culminated in the non-dualism of Advait philosophy of Vedant ( appendix to Vedic hymns). 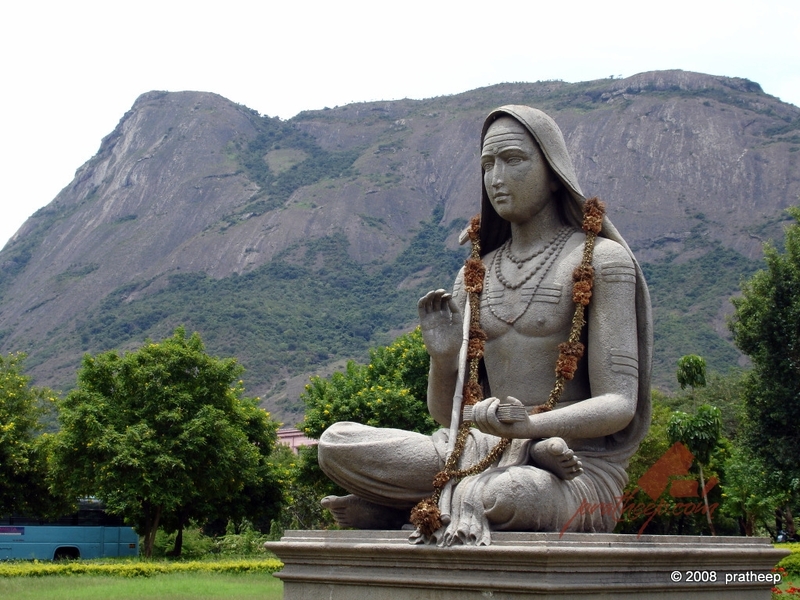 Its greatest proponent was the brilliant sage-philosopher of the 8th century AD who sought to consolidate trends of thought on the subject present in different treatises (see my post/page on Adi Shankaracharya). In that so called illusory world on the physical plane, however Karma and Rebirth held sway. Both concepts had fully evolved from their preliminary references in the Upanishads into mature doctrines in the Gita which had far reaching influence on the daily life styles, beliefs and ethics of the common man. According to Vedanta the self, remained hidden deep within the illusory world covered by five sheaths. The first was the gross body (the waking state of the Mandukya Upanishad – see previous post ). The second the vital forces, the third, mind, the fourth, intellect – these three formed the subtle body ( the dream state of the Mandukya). While the fifth (deep dreamless sleep of Mandukya – the equivalent of the godhead) was the causal body. All these sheaths according to Advait Vedanta are illusory, including the state of realizing godhead and arose from Ignorance (avidya). Beyond it is the Silence which is the only Reality – that of Brahman( beyond the sound of Om the total silence). The soul entrapped in these sheaths of Ignorance keeps hopping from one life to another ( after death of the gross body) carrying with it the subtle body full of Karmic traces and effects of past lives, till the subtle body is finally cleansed and refined and pure without Karmic effects whereupon the Ignorance is shed, the sheaths fall away and the soul is free to ‘merge’ back into the universal essence of Brahman. This in a sense is all a divine illusory play (Lila) which ends when the mirage of Ignorance has dispersed or been dispelled. Ultimately it can be called Brahman’s dream or again his play for which there is no audience. For after all the individual soul and Brahman the universal Soul were never separated, were always One. 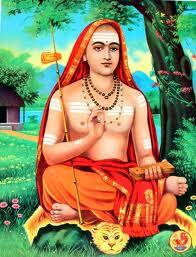 Shankaracharya ( Shanker + Acharya – sage,seer ) is regarded as one of India’s most eminent and brilliant philosophers of the post-Vedic age. He lived in the early 9th century A.D. His brief career of 31 years was remarkable for consolidating Hindu thought contained in the Upanishads ( primal musings of sages in the forest on the nature of reality) the Bhagawat Gita (India’s most sacred religious text ), the Yoga Sutra (treatises on meditation) and Vedantic thought ( post-Vedic philosophy) in his philosophy of Advait (non dualism). At the time Hindu thought and practices had become disparate, ritualistic, conflicting and full of superstition with the fringes even adhering to atheism and gross materialism. The genius of an earlier age which had created great religious movements reaching out to far corners of the world had lost its dynamism, clarity and momentum and was beset by confusion and strife. His writings and debates turned much of this around breathing new warmth and life into thought, belief and practice and having a far-reaching influence in rejuvenating Hindu Philosophy and beliefs. The practice begins with adopting a stern morality in life (ethical behaviour – Dharma), altruistic action without attachment towards results (dispassionate action of the Gita), Yogic practices to cleanse the mind and body (Yoga Sutras). To prepare himself he must first acquire knowledge of the scriptures, have unshakable faith and adopt a Guru to guide him and draw the road map. According to Advait interpretation God with attributes is like a mask upon the sublime Universal Essence (Brahman), which is without attributes. 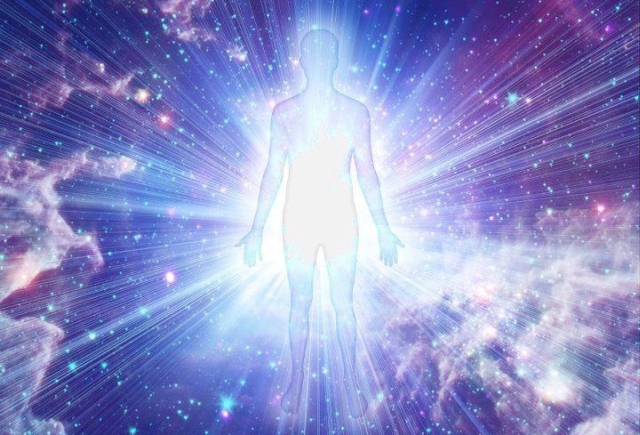 The adept Vedantin seeker is warned that a stage will appear in his quest for truth and spiritual evolution when the vision of God incarnate will finally appear resplendent before him. This is the final stage of phenomenality and duality. The feelings of ecstasy and euphoria arising then have to be contained and the adept has to resist the temptation to remain in that state of bliss. For he has to move on in his search for the real truth, beyond the splendid vision, towards the sublime. silent, featureless one without attributes, one who cannot be an object for a subject. When he goes beyond this penultimate stage he finally dispels ‘Ignorance’ and attains enlightenment by realizing that ‘he is that’; there is no subject any more nor an object, there is only the One. According to Advait, Brahman (Universal Essence) is ‘the one without a second’, the one which alone exists (Sat), which is pure consciousness (Chit), and is in a state of bliss(Anand). The Soul (Atma) does not merge with it because it never really separated from it. Brahman remains the one without a second (Advait) and the Atma’s separation is an illusion, the result of ignorance which when dispelled, produces enlightenment. The influence of Shanker’s doctrine of Advait on Hindu belief systems to this day remains far-reaching. Yet, succeeding philosophers like the sage Ramanuja in the 11th century dissented from this interpretation of Vedant philosophy, holding that the incarnated Souls were separate from the Divine Essence and only finally merged with it after the cycles of birth. Likewise thinkers and poets of the Age of Devotion (Bhakti) of the 16th century believed in a God with attributes who became very tangible when incarnating as Avatar, and was attainable simply through love and devotion rather than scholastic and intellectual meditation. For them the Gita became tha main vehicle of inspiration with its qualified and deistic Monism, rather than the scholastic and esoteric path shown by Advait doctrine. Shanker never rejected devotional prayer (Bhakti) or denied its value for he held that it was a necessary but intermediate stage for the adept on his journey to the ultimate realization of the true nature of the Universal Essence. Shankeracharya’s philosophy and doctrine was enshrined in four monastic centres (Maths) which he set up in different corners of India surviving to this day at Sringeri (South), Govardhan (East), Kalika (West), and Jyoti (North). The heads of the four monasteries are revered in India, much as the Vatican’s Pope is in the Christian world. In addition to his philosophical treatises Shanker wrote numerous brilliant poems which are sung and recited to this day. One of his most popular songs is recited as an aid to meditation by disciples and seekers. And one with no voice gave it praise.